This item is covered by Vertex Nano Technology Return Policy. 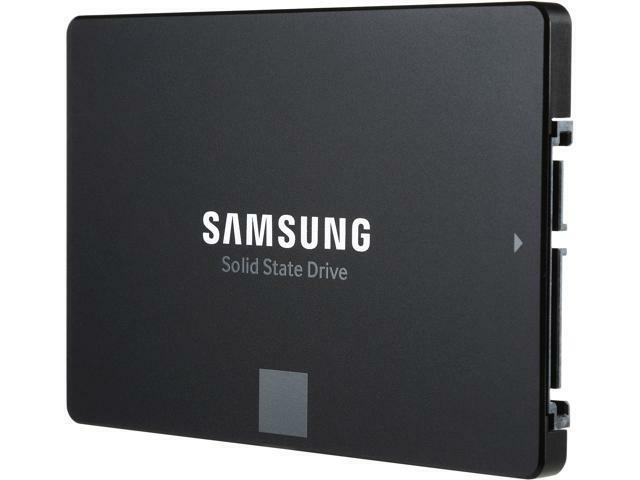 Other Thoughts: I've been using Samsung electronics for years and have never been disappointed until now, and I'm very familiar with Samsung ssd's as well I currently have an 830 in my old alienware, but I decided to update to the new at the time V-nand in my laptop and replace the HDD in my wife's laptop. replacing her's went smooth it showed up in the bios and was able to install a clean copy of windows. however the second one for me was absolutely dead, I've tried to connect internally and with every usb port on both my laptop and her's and my buddies desktop and nothing, it doesn't appear in bios or device manager so be warned. its too late for RMA because I've been too busy to post a review or even contact anyone, I purchased both in 2017 and its now the end of April 2019 and that's on me. Other Thoughts: A fast drive at a great price, no excuse not to upgrade. A little big, but I guess it's to keep to same form factor for bay install. Very saitsfied of my purchase. Cons: After 2 years of buying 2 of the 500Gb SSD, They are starting to die on me. The reason I know this is every other time I start up my rig, the screens show info on my desktop like everything is fine then I cant move my mouse or do anything. I also have wallpaper engine which is you can choose moving background images and they froze up and sometimes my other SSD dont show up half the time. Other Thoughts: Trying to find a replacement that works in a long term seems like a joke anymore. Pros: I have installed many SSD drives and performance gain is always impressive. This drive is really impressive! I tested two SSD's on my Macbook. The Samsung drive was noticeably much faster than brand X. I also wish to note that the Brand X drive had errors using Carbon Copy and the Samsung drive did not. Other Thoughts: These drives are a little pricey. I bought this one on sale. You definitely get what you pay for tho...Cheers! Other Thoughts: Bought this to bring my current (at the time) laptop back to life after being fed up a with previous hdd’s failing in it. For an almost 10 year old laptop, It has never ran faster than with this ssd in it. I’ve had the mb not detect it a couple of times but a simple restart fixed the issue. It’s now still running strong after 5 years in a newer laptop running windows 10. Pros: No problems with the then-current Samsung Data Migration tool. Made it through a firmware upgrade, no grief. No apparent degradation of any kind. Other Thoughts: I hope the current version (860 Evo) is even nearly as good. Pros: These drives are fast and the price is great if you get one on sale. Cons: RMA process if it needs to be returned has been reported as being very difficult. Therefore, I would consider paying a little more for the INTEL ssd and avoid that problem later. Anyone can sell you any thing , but service after the sale is everything. SAMSUNG is the fastest , but INTEL is more reliable and does not have the RMA / return issue. SAMSUNG is the best as long as it does not fail to work. I do have five SAMSUNG drives ranging from 1 month to 2 years old, and no problems with any one of them yet. I now feel comfortable with their quality and will purchase more of them in the future.